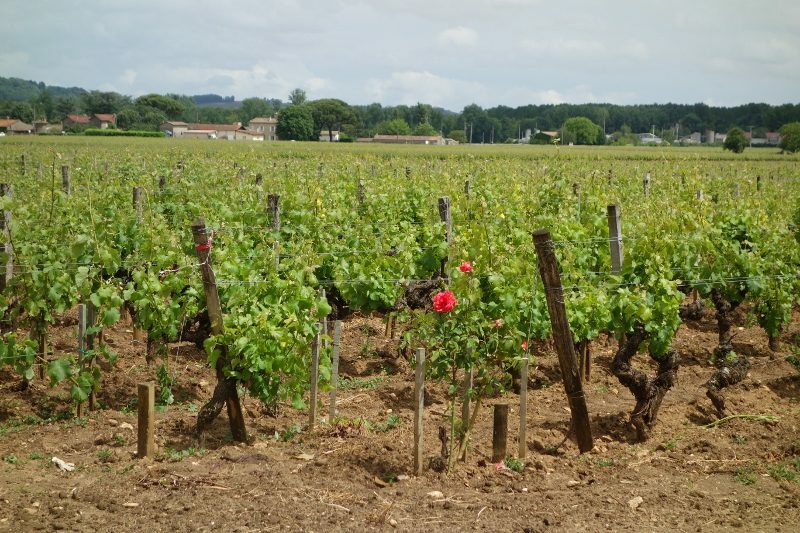 Sauternes – the golden sweet wine. It comes from the Sauternes region in the Graves district of Bordeaux. These are not late harvest wines. Rather, the grapes must develop botrytis, or noble rot. The humidity caused by the cold Le Ciron River that feeds into the Garonne results in a fog that descends upon the vineyards through the night. The warm sun during the day will then dry the grapes. The fungus that develops on the grapes results in a grape that becomes partially raisin-ed with concentrated flavors. One of the most famous (and most expensive) Sauternes is Chateau Y’quem. 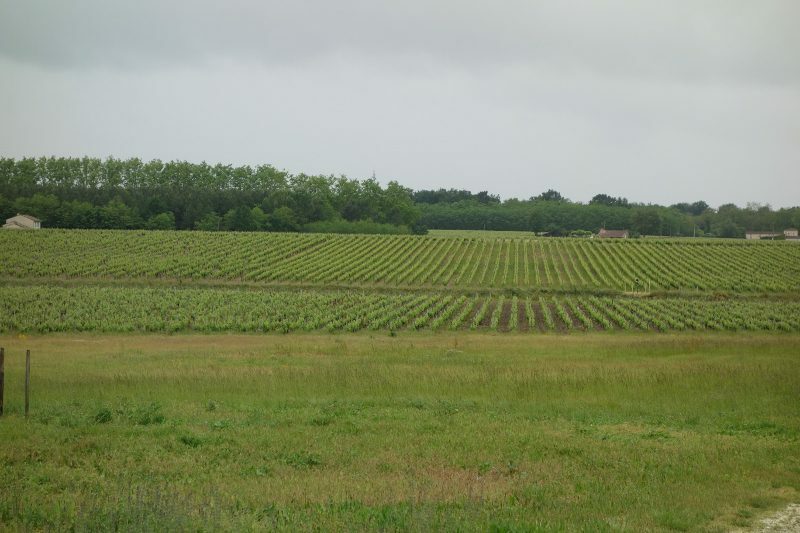 Our driver drove us up the road to Y’quem but fooled us and turned back around to take us to two other historic Sauternes producers who are worth knowing about……as well as more affordable. Chateau Guiraud became a Premier Grand Cru in 1855. Dating back to the 15th century, this is the oldest property in Sauternes. 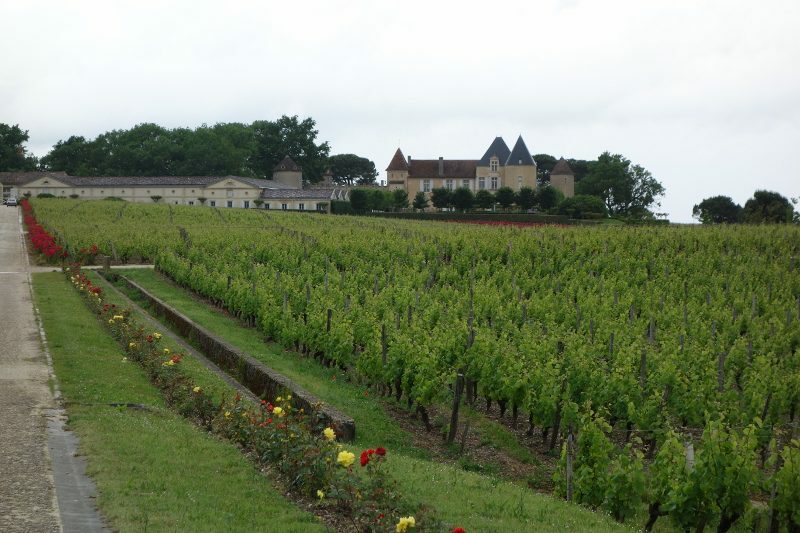 There are 100 hectares of vineyards that surround the chateau. 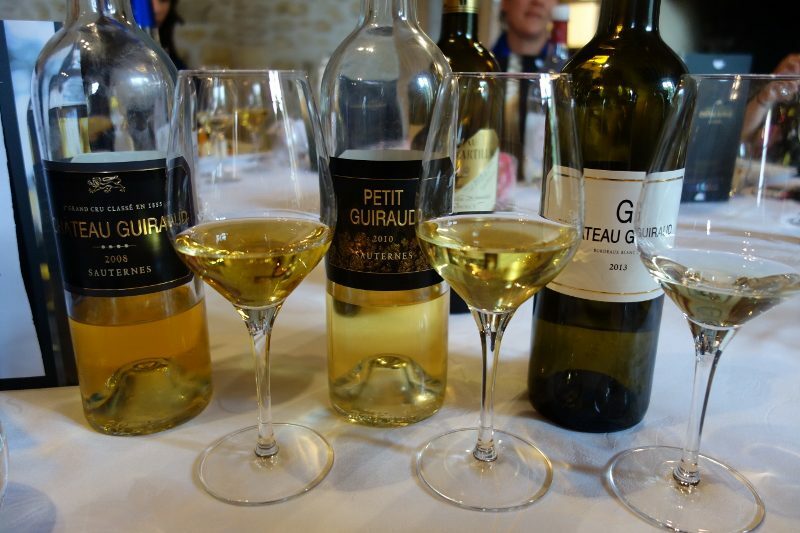 The Chateau Guiraud Sauternes is 65% Semillon and 35% Sauvignon Blanc, which adds freshness, citrus and minerality. 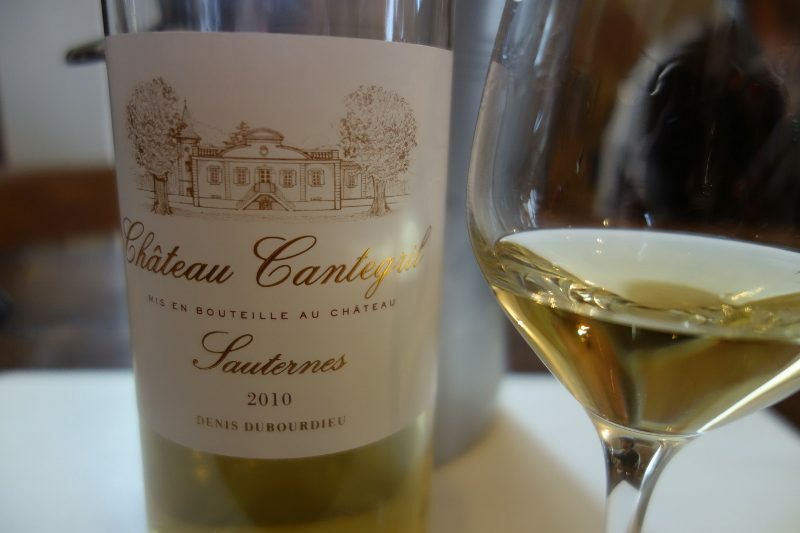 They are the only First Growth in Sauternes that is certified organic, as of the 2011 vintage. Georges Dubourdieu purchased the property in 1924 and his son Pierre took over in 1948. In 2000, Pierre’s son Denis, one of Bordeaux’s most acclaimed winemakers and a professor of enology at the University of Bordeaux, took over. Since 2003, fourth generation Fabrice Dubourdieu, who also studied enology, works with his father Denis. As we sat and tasted the wines, Fabrice told us that his grandfather Pierre created the first tasting room in the world. 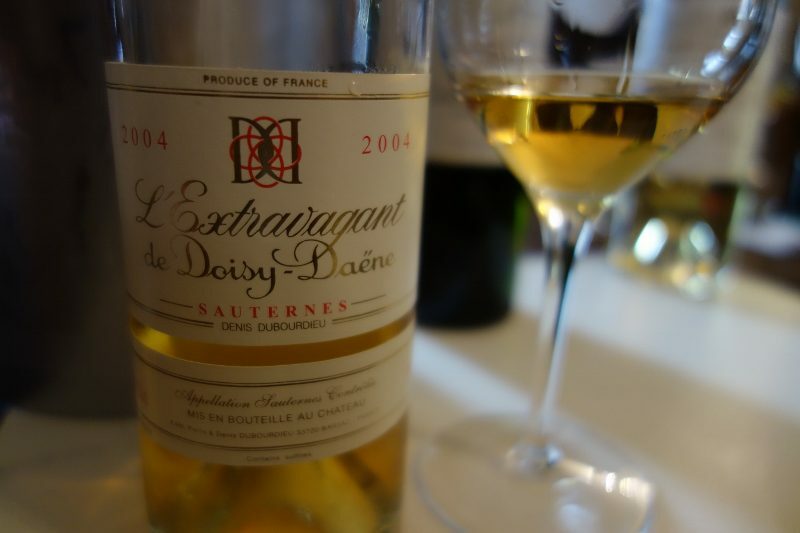 L’Extravagant de Doisy Daene Sauternes 2004 – L’Extravagant is the result of Pierre challenging himself to make the most concentrated Sauternes but is not made every vintage. Because Sauternes is sweet, most people think that it should be drunk for dessert. But, next time you are looking for something to pair with a cheese plate or spicy foods, think Sauternes! 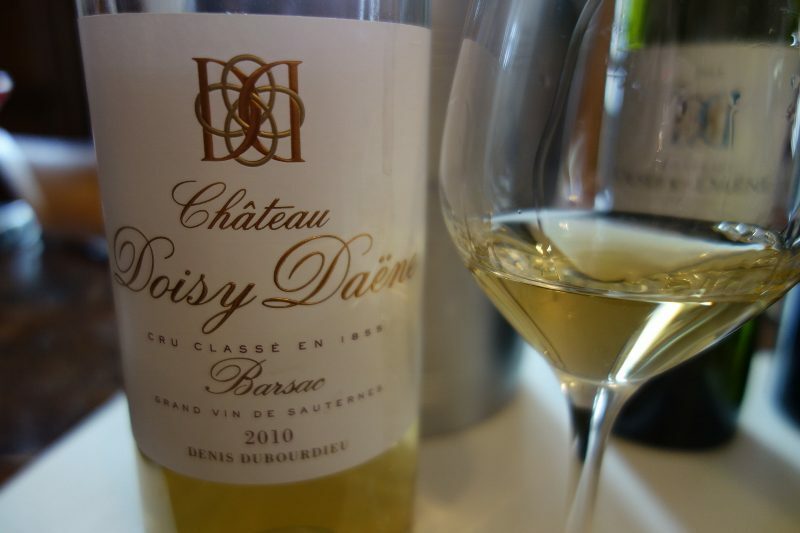 This entry was posted in Wine and tagged Barsac, Bordeaux, Chateau Doisy-Daene, Chateau Guiraud, France, Sauternes by Allison Levine.